With any airplane crash, there are many unanswered questions as to what brought the plane down. Investigators turn to the airplane's flight data recorder (FDR) and cockpit voice recorder (CVR), also known as "black boxes," for answers. In Flight 261, the FDR contained 48 parameters of flight data, and the CVR recorded a little more than 30 minutes of conversation and other audible cockpit noises. 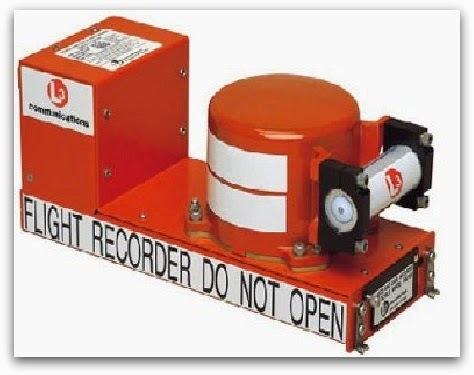 Although they are called "black boxes," aviation recorders are actually painted bright orange. This distinct color, along with the strips of reflective tape attached to the recorders' exteriors, help investigators locate the black boxes following an accident. These are especially helpful when a plane lands in the water. There are two possible origins of the term "black box": Some believe it is because early recorders were painted black, while others think it refers to the charring that occurs in post-accident fires. In almost every commercial aircraft, there are several microphones built into the cockpit to track the conversations of the flight crew. These microphones are also designed to track any ambient noise in the cockpit, such as switches being thrown or any knocks or thuds. There may be up to four microphones in the plane's cockpit, each connected to the cockpit voice recorder (CVR). The Wright Brothers pioneered the use of a device to record propeller rotations, according to documents provided by L-3 Communications. However, the widespread use of aviation recorders didn't begin until the post-World War II era. Since then, the recording medium of black boxes has evolved in order to record much more information about an aircraft's operation. Although many of the black boxes in use today use magnetic tape, which was first introduced in the 1960s, airlines are moving to solid-state memory boards, which came along in the 1990s. Magnetic tape works like any tape recorder. The Mylar tape is pulled across an electromagnetic head, which leaves a bit of data on the tape. Researchers shoot the CSMU down an air cannon to create an impact of 3,400 Gs (1 G is the force of Earth's gravity, which determines how much something weighs). At 3,400 Gs, the CSMU hits an aluminum, honeycomb target at a force equal to 3,400 times its weight. This impact force is equal to or in excess of what a recorder might experience in an actual crash. According to L3 Communications, there are improvements on the horizon for black box technology. Reportedly, some form of cockpit video recorder will be developed. Such a recorder would be able to store video images in solid-state memory. Popularly referred to as a "black box" by the media, the data recorded by the FDR is used for accident investigation, as well as for analyzing air safety issues, material degradation and engine performance. Due to their importance in investigating accidents, these ICAO-regulated devices are carefully engineered and constructed to withstand the force of a high speed impact and the heat of an intense fire.